SNIP: Thawing permafrost in the Arctic may be releasing 12 times as much nitrous oxide as previously thought, according to a new study published in the journal Atmospheric Chemistry and Physics. Nitrous oxide, a powerful greenhouse gas 300 times more potent than carbon dioxide, can remain in the atmosphere for up to 114 years, according to the U.S. Environmental Protection Agency (EPA). 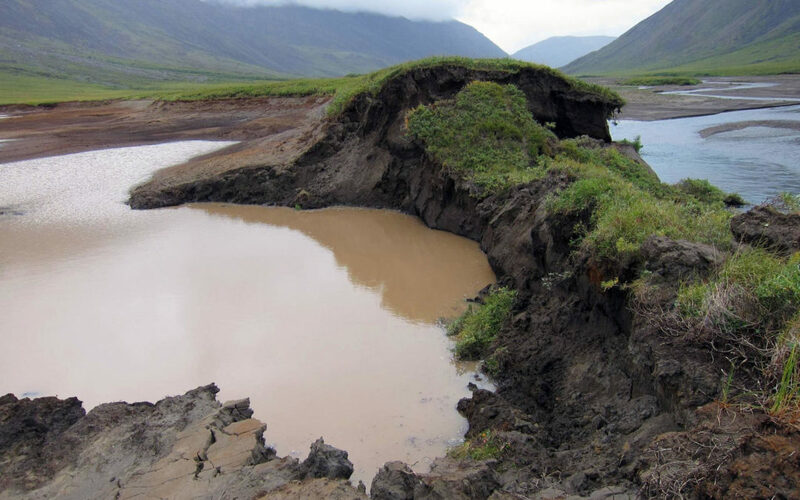 The research, led by scientists at Harvard University, involved measuring greenhouse gas levels over 120 square miles of melting permafrost in the North Slope of Alaska. The data, collected using a small plane, showed that the nitrous oxide emitted over the course of just one month of sampling in 2013 was equal to what was thought to be the region’s yearly emissions. The findings back up similar results from other recent studies that used core samples from Arctic peat to measure rising nitrous oxide emissions. Nitrous oxide emissions have been rising globally in recent decades thanks to the expansion of industry and intense fertilizer use. But scientists had long thought that emissions of the gas from melting permafrost were “negligible,” as the EPA described it in a 2010 report.